Professional video gaming or Esports is one of the new, hottest trends. With its ever increasing fan base, overwhelming support for streamers and tournaments with large prize pools, it’s no wonder that Esports has become so popular. One of our favorite elite global pro gaming tours, Intel Extreme Masters (or IEM), held one of its latest event in December 2014. On December 6th and 7th, 2014, thousands of Starcraft and League of Legends fans congregated at IEM San Jose to cheer on their favorite teams. This week’s exclusive interview is with IEM and ESL’s Head of Communications and PR Director, the passionate Anna Rozwandowicz aka @ESL_Anna. 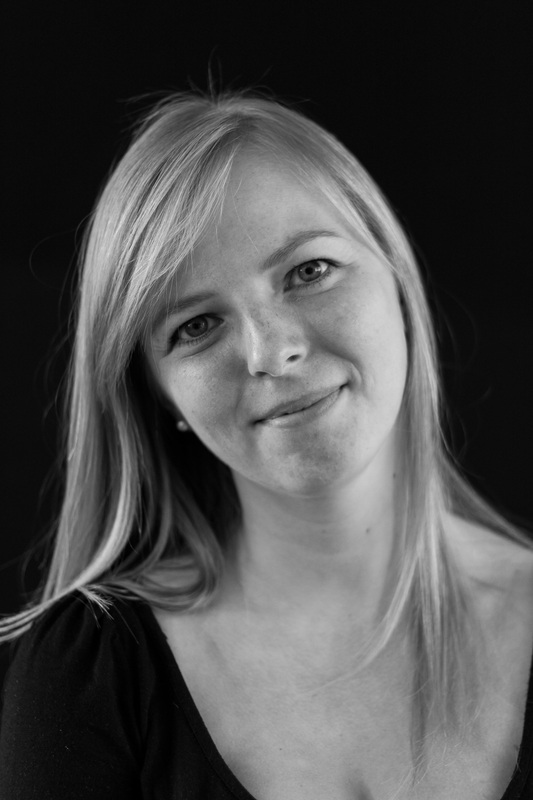 Anna is from Szczecin, Poland and currently resides in Cologne, Germany. In her free time, she enjoys cooking, playing Hearthstone and eating chocolate. How did you come about joining IEM and ESL? Total coincidence. I started my career in the gaming industry at a market research company in Amsterdam, then joined Perfect World as their European PR manager. Attended my first gamescom in 2013, wandered around the ESL Arena – and I loved what I saw. When the Head of Communications position at ESL popped up, I applied and six months later – after lots of back and forth (I’m a terrible negotiator) – I was hired! What background do you have in event planning? In event planning itself, almost none. I’ve done a couple of gamescoms, Game Connections and Paris Games Weeks, but all from a communications, PR and marketing’s perspective. Luckily we have a massive event management department at ESL, full to the brim with guys who really know what they’re doing. How far in advance did you need to plan for IEM San Jose? 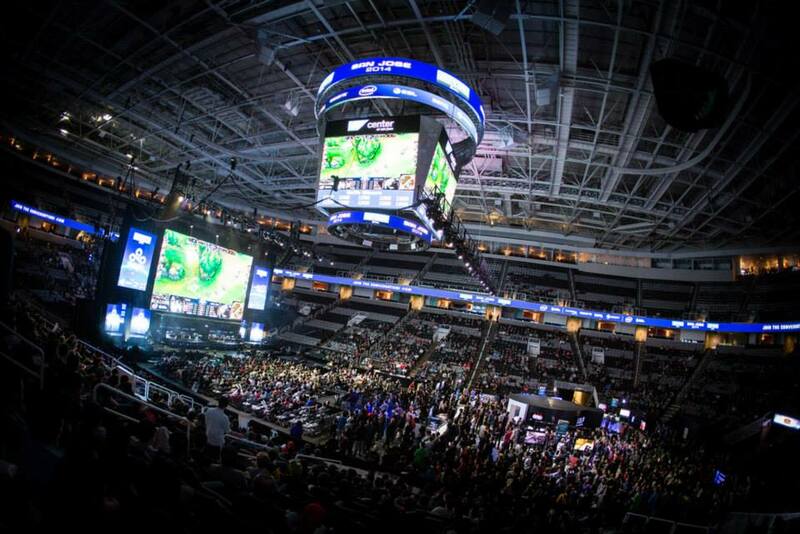 Stand-alone stadium events the scale of IEM San Jose require at least a year of planning. You start out with multiple visits to the venue, local and international market research and finish up with things like shipping out all of the equipment (for IEM San Jose, it arrived at the venue a month before the event)…So, I’d say a solid 12 months of planning and preparation. How many hours did you pour into IEM San Jose? How many people were on your team to help you behind the scenes? Our core event crew in San Jose consisted of about 70 people. Add to that all the supporting staff we had to help us build and teardown the stage, freelancers we hired and the staff the SAP Center provided to help us with logistics: I would estimate that we had around 250 people working on the show. What sort of preparation needed to be done before game day? I’m not even sure where to begin… From stage and lighting design through to making all the graphics we use in production, getting ticketing sorted, planning communication, marketing, international and national logistics surrounding TV and stage equipment, to actually setting up the rooms we’re using (player warmup, lounges, production area)… Not to mention that most of these things had to be done twice for San Jose, as we were running a double production for IEM – two shows at the same time. How did you choose the San Jose SAP Center as the venue? It’s close to our partners, Intel and Twitch, and is a venue that is suitable for our needs, with a big backstage area. Coincidentally, League of Legends giants, TSM, are originally from San Jose, so it turned out to be a nice homecoming party for them too! Did you receive any interesting requests from any of the players, commentators or hosts? How many fans attended the event? How many fans tuned into the online streams? We saw 6,000 people visit IEM on Saturday, and 6,500 on Sunday. On Twitch, we’ve had over 4,000,000 unique viewers who tuned in. 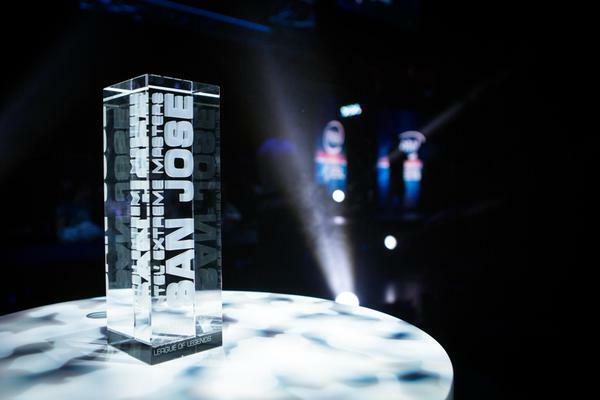 What were some difficult aspects of IEM San Jose that you had to overcome? 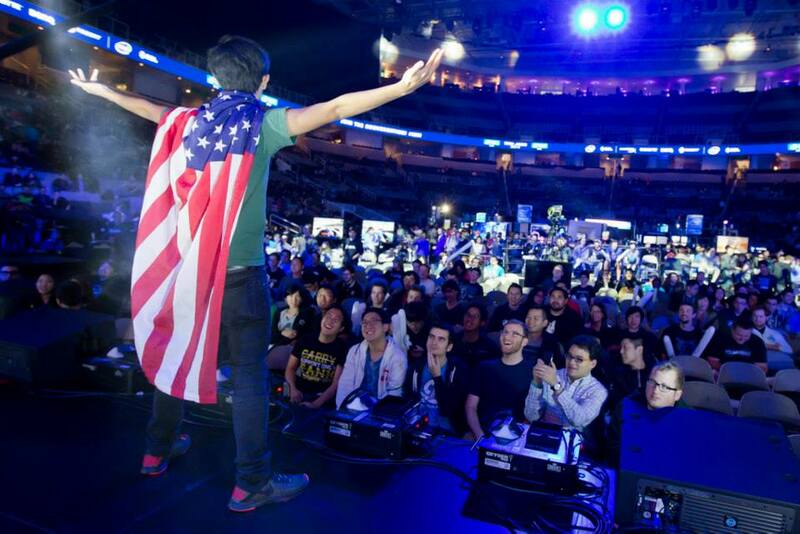 This was ESL’s biggest event in America, and the first standalone event for IEM. The sheer size of it, and the scale of the entire undertaking in general, was massive. Our headquarters are in Germany, so doing most of the preparations from there was very challenging. Also, working with American companies was a totally new experience for some of us. Another big challenge was running two shows at the same time. Let’s not forget the SAP Center isn’t a venue built for esports competitions, and every decision we made on our way there had to accommodate a very important factor: we had to run two shows at the same time, one for League of Legends and one for StarCraft II. 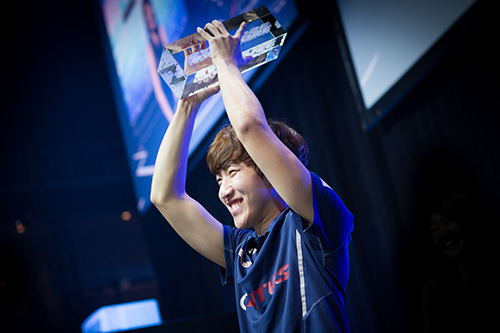 herO beat out Rain 4-3 to become the StarCraft II champion of IEM San Jose. Were there any unexpected but pleasant surprises? It turned out the CEO of Intel is a gamer, and we didn’t have to explain anything from League of Legends to him – he was explaining the action on the screens to some of his directors! What were some funny or fond memories that you had of IEM San Jose? The first day of IEM San Jose was also my birthday – I turned 30! Incredibly nice of ESL and Intel to throw me that big birthday bash 😉 I even got a cake and a small party where I was surprised to see almost the entire crew show up – two really great memories. Tell us something that happened behind the scenes that most readers don’t know about. I don’t recall anything unexpected or spectacular happening behind the scenes, but what most readers don’t know about is the backstage work that goes into an event like that. I was giving tours to media that took me about two hours to show them everything. They couldn’t believe the amount of equipment we brought with us, or how big the backstage area really is. 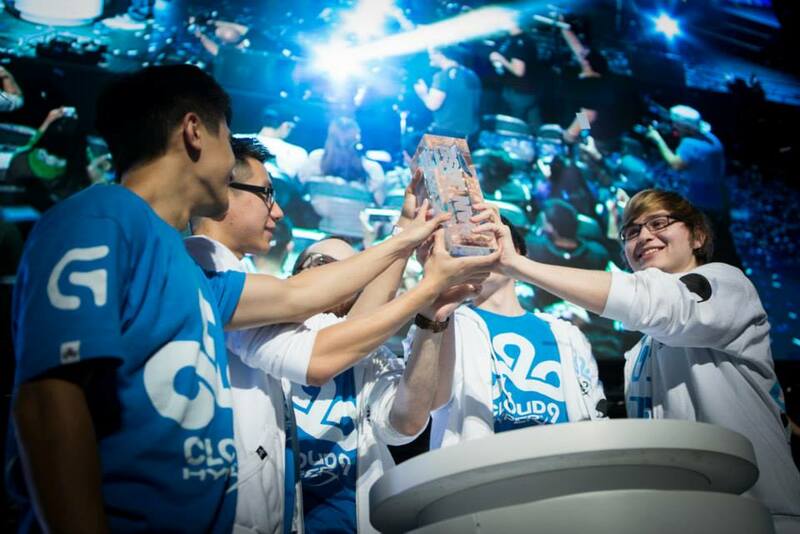 Cloud9 beat Unicorns of Love 3-0 to become the League of Legends victors of IEM San Jose. Is there anything that you would do differently for the next IEM event? We had a long post-mortem meeting where we laughed and cried and yelled at each other, and recited long lists of feedback. As the end of it, it felt like everyone got a big load off their chests, and we left in total agreement that the next IEM of that scale will be even better. There are tons of situations we’ve learned from and lots of things we will improve for the next IEM – in the end, we’re all about delivering the best esports experience, so that’s what we’re going for! What advice would you like to share in regards to hosting events/tournaments? Is there anything else you would like to share with our readers? Any shout outs? A massive shout out to the ESL event crew. I gained a whole new level of respect for lots of people I saw working vigorously to deliver the best show we possibly could. Thank you for your time, Anna and thanks for checking out Gamer Compatible! If you want to know more about IEM, you can follow them on Twitter: @iem or on Facebook: @iem or on Youtube: IntelExtremeMasters. If you want to know more about our upcoming gaming interviews, you can follow us on Twitter: @gamercompatible or on Facebook: @gamercompatible. We would also like to thank Helena Kristiansson of ESL for these spectacular photos. You can view more of her fantastic work here. This entry was posted in Interviews and tagged Anna, december, events, extreme, gaming, IEM, intel, league of legends, masters, preparation, pro, San Jose, scenes, shows, starcraft II. Bookmark the permalink.